"Once I started to download some apps (I only have about 15 on the phone) and use the phone for what it is, a pocket computer, that's when things start to go wrong. I started to notice some lag, and some freezing issues. It wasn't much at first, but then gradually increased through use. If I had a heavy day of use with the phone, I would start to see it freeze about 3-4 time throughout the course of the day. The freezing would usually clear up if you let the phone sit idle for about 3 minutes or so, but that shouldn't happen. 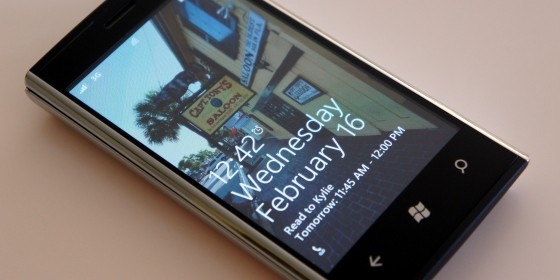 Then came the crashes..."
Quality control issues at the manufacturer, some operating system problems...these are hiccups we've known and (mostly) tolerated during the days of Windows Mobile, but not something we should expect or gloss over with Windows Phone 7. But wait, it gets worse. Apparently despite Dell originally advertising the Venue Pro as carrying 512MB RAM, the shipping model only has 256MB. That in itself might explain the freezing and crashing problems, though there's a mention that switching the internal MicroSD card to a Class 4 model has had some success in alleviating them (warning: doing this will invalidate your warranty and require a hard reset). Any readers have the Venue Pro and seen the same issues? I had similar problems on my HTC Surround, plus battery didn't charge fully, so I had to exchange it for another one. Second works like a clock, perfectly. Nothing is perfect, I also had iPhone 4, sold it this morning, not without problems either. Sounds lik emy firs tSmartphone - the Venerable MPs200 - which AT&T sold as having Voice dialing. - It didn't and they weren't ashamed of themselves. Or my last Dell PC, a pricey XPS Tower sold as having dual TV tuners - only it had only one. Dell didn't bat an eye over that, so what's a little memory here or there? 1. Don't buy ANY cellular product on the basis of what "will" be coming to you. If you value it, wait until it is put into your hand. 2. Don't invest any time in loading up your new Smartphone with programs and data until AFTER you have verified every single feature you have been told will be on the phone, and every thing you 'heard' will be on the phone. 3. Return it IMMEDIATELY upon discovering something from "2." above is missing/non-functional. 4. Don't belive ANYTHING a salesperson tells you. The level of ignorance, misunderstanding and misinformation they absorb and then spew back at you is amazing, and they suffer no penalties for selling you a phone that doesn't work as advertised. And remember that most of the individuals involved with you are not trying to make you an unhappy customer, it's just the nature of the system, so protect yourself. I guess I'll have to change "feature" to "feature and hardware" in Rule #2. Never thought it'd be necessary. Thank you Dell for opening my eyes to how naiive I still am!